If you're a Verizon Wireless customer, or want to become one, and you need a new high-end Android phone, Best Buy currently has a pretty attractive deal for you. 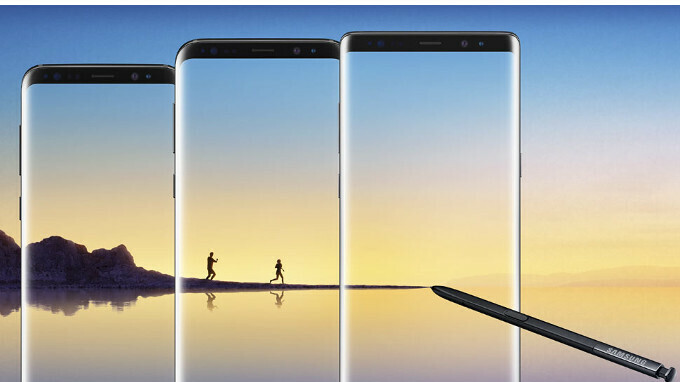 The retailer lets you save $250 on the Samsung Galaxy Note 8, Samsung Galaxy S8+, and Samsung Galaxy S8, as long as you're buying them with a monthly Verizon Device Payment. The $250 savings aren't instant, but will be reflected in reduced monthly payments over 24 months. At the end of this period, you'll end up paying $686 for a Samsung Galaxy Note 8 (instead of $936), $590 for a Galaxy S8+ (instead of $840), and only $506 for a Galaxy S8 (instead of $756). Unlike other deals available at Verizon and Best Buy, this one does not require you to trade in your old phone. You can even save an additional $150 if you're a T-Mobile customer and you port your number to Verizon (new phone and new line required). More details on these offers are available at Best Buy's website - see the source link below - as well as in Best Buy stores nationwide. Wrong carrier. Don’t deal with these crooks. Oh never mind. Cosmin V didn’t write the article. Might be safe to post my dislike for Verizon. Verizon is best network and something I didn’t want to do is replace my Nexus 6p, but it finally happened, it broke and now I have to replace it. Looking at deals at the moment. Does any one know where I can get a good deal on either the LG V30, Pixel XL 2. I might even look at the Note 8 but that’s a last minute move lol. Yo, Dereckjeter. The Pixel 2 and 2 XL are having a series of bugs, from software down to hardware. I think the V30 is a safer device, as it's numb issues are lower than the Pixel 2XL.